The Hridaya Teacher Training Course is a high-quality, intensive, Yoga Alliance-registered 12-week program. But, it is not designed to be just a 3-month course that provides some specific information, self-improvement opportunities, and a 500-hour certification. The depth of the teachings is unparalleled and leads to profound insights into the true nature of the Self. And, the community bonds fostered during the course provide sustenance long after the program is over. In short, the Hridaya TTC offers an opening to a lifetime of spiritual exploration and accomplishment. The HTTC is both theoretical and experiential with the predominance on experience. The emphasis is on meditation and the way in which the deep meditative experiences can be integrated into daily life. Students are lead gradually and steadily into the art of meditation. The framework of this intensive training provides a very inspiring way for learning to discern the subtleties of meditation. Hatha yoga is also part of the training as it is used in Hridaya Yoga as a tool for developing awareness and creating better conditions in the body and openness to the Universal energies for deepening meditation. Through the Hridaya Teacher Training Course, Sahajananda fosters the blossoming of awareness and offers you the skillful means to make the teachings of non-duality come alive. HTTC teaches you to recognize love-awareness as the essence of your being and of the entire creation. The HTTC includes daily asana practice, daily meditations, and daily theoretical teachings. It prepares students to become both hatha yoga teachers and meditation instructors and above all, it fosters love for the meditation path as a way of living. 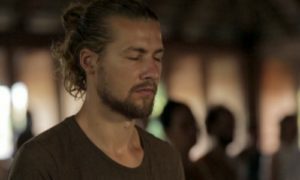 The HTTC is, in fact, a beautiful way to fall in love with meditation. And the deeper the love for meditation is, the more profoundly the meditation teacher will embody the teachings. An important message of the HTTC is: Love meditation, teach what you love, become what you love. Read more.